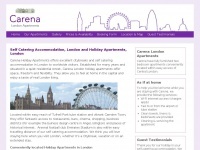 The web server with the IP-address 198.20.114.3 used by Carena-apartments.co.uk is owned by SingleHop LLC and is located in Amsterdam, Netherlands. 20 other websites are located on this web server. Most of them are provided in the english language. Only a few websites on this web server are x-rated.